Since time is short, I will jump straight into the heart of things. My thesis today is simple: digital technologies are both our best hope and our worst enemy. Big problems like climate change and disease are unlikely to be tackled without them. Moreover, the Internet of Things shows some promising early signs that shared resources can be managed differently and more effectively, empowering smaller, local communities in an unprecedented way. But digital technologies also create political and economics challenges of their own. They aggravate various neoliberal tendencies of contemporary society and entrench corporate interests over those of the public. This is not surprising given that the companies that own and operate these technologies are often in the avantgarde of the neoliberal agenda. The political task ahead, then, is to amplify the positive uses of these technologies and minimize their negative ones. When the very term “digital technologies” spans everything from electronic books to drones to smart thermostats, we badly need some analytical clarity. Today I will group them into three categories: sensors, filters, profiles. This triad can explain much of our contemporary technological landscape. Take something as banal as making a Google search. Google’s search box functions as a sensor of sorts – it captures your “intent” to find something. To deliver the relevant results, Google has to rely on filters to separate relevant results from irrelevant ones. It determines relevance partly by drawing on a “profile” of you that it stores it its memory – and it adds your current search (and your subsequent clicks) to that profile. But since Google is now present in many different domains – from self-driving cars to maps to books to videos – your “profile” is really a totality of all your interactions with Google. Likewise, Uber draws on sensors – our smartphones – to understand where we are in the city; uses filters to match supply and demand at the most profitable price; and relies on “profiles” – of both the driver and the passenger – to reduce mutual concerns about misbehavior, adding information generated on each trip to the profile of both parties. This ability to capture our behavior (in the form of clicks or location) in real-time and to store it for future, personalized use is one of the key features of the emerging data-centric capitalism. Its promise is the ultimate and total personalization of our everyday experience based on the preferences that are captured in our “profiles.” Such personalization can also increase the efficiency of resource use, reduce waste, lead to more sustainability: it’s not just a myth of Silicon Valley. Think of the announcement about the partnership between Uber and Spotify, the music streaming service: from now on, you the passenger would be able to play your favorite Spotify songs in any Uber car. This is possible precisely because our music preferences have been collected into a profile – a digital identity of sorts – and that profile can now be shared across various platforms. The Uber/Spotify example might seem trivial but think of the many different “profiles” that the new smart devices can – and some already do – generate: smart thermostats generate profiles of our preferred energy use, smartphones (not to mention self-driving cars) generate profiles of our physical activity and movement, search engines and social networks generate profiles of our information needs and reading habits. Anybody thinking about the future provision of transportation, education, energy, health services cannot ignore this data – for if they do, a bunch of (mostly American) entrepreneurs will emerge to disrupt them. This data, once available, can lead to all sorts of socially useful experimentation and innovation. Entire communities might opt out for a different model of public transportation, whereby a bus service would pick up passengers on a unique route that is mapped out anew every day based on actual transportation needs of citizens in a given community. Cities like Seoul and Helsinki are experimenting with such models already. The same applies to energy generation and resource sharing more broadly. But let me emphasize that this wave of social experimentation can only become possible if the community has access to the underlying data. Without the data, communities will be stuck with the models imposed on them by the corporate providers of those services. So instead of having personalized bus services, we would forever be stuck with Uber’s individualistic model. This is an important point to keep in mind: the only level of action that technology companies realize is that of the individual consumer. We are all invited to join the sharing economy but only as entrepreneurs who will put up our skills, our free time, our flats, our cars, our “dead capital” as some call it, for rent on the market. This is, after all, what today’s sharing economy is about: it’s about relying on information and communication technologies to establish efficient markets in everything and turn everyone into a psychotic entrepreneur. Why psychotic? Well, because we are invited to always be anxious about our reputation: our every interaction with various parts of the sharing economy is recorded, ranked, and stored for posterity, affecting all our future interactions. It’s in this sense that the sharing economy is truly neoliberalism on steroids: it creates markets everywhere while also producing a new subjectivity in its participants. Some of you may have heard of a recent episode in Britain, where a woman was told she could not use AirBnb because she has less than 100 Facebook friends – and it’s through our Facebook’s identity that Airbnb establishes our “authenticity” and “validity” as customers. The end game here is easy to predict. The basic relationship is simple: whoever controls the most and the best sensors will eventually control the profiles. Thus, ultimately, we’ll end up with just two companies – Facebook and Google – controlling the entire field of “digital identity.” This means, among other things, that these two companies will become the key intermediaries in how every other service – energy, health, education, transportation – is provided. Both of these companies, each in its own way, benefit from network effects: Facebook’s service is more valuable the greater the number of people who pursue their social activities within Facebook while Google’s service is more valuable the more of the world’s knowledge it has organized. To me, it seems obvious that Google’s search results are better if it knows where you are, what you have searched for in the past, who your friends are, and so on. It very well may be that both search and social networking are, in fact, the kinds of activities that can only be meaningfully pursued by monopolies that draw on an extensive base of information gathered from various – rather than just one – social domains. Thus, instead of breaking up Google into various components – for example, making search separate from maps or maps separate from email – a different kind of break-up is in order. We must take the matter of digital identity completely out of commercial jurisdiction and instead turn it into a public good. Think of this is as the intellectual infrastructure of the data-centric capitalism. To reiterate: If we are faced with emerging data-centric capitalism, then the only way to guarantee that citizens won’t be crushed by it is to ensure that its main driving force – data – remains squarely in public hands. I don’t have time to expand on this at greater length but there need to be a greater consolidation of public interest across all the three layers – sensors/filters/profiles – that I’ve mentioned. It might sound counterintuitive but this is how things should be: my every click on any app or site, my every interaction with my smart thermostat or my smart car, my every move in the city should accrue to me, the citizen – and not to the companies offering these services. By assuming that “click capital” – and this is what it is, it’s a form of capital – naturally belongs to corporations, the public would eventually see its control over them diminish completely. Furthermore, some basic services – very simple searches, basic email functionality, and so on – could and should be provided free and as part of public infrastructure. In exchange for this, some of the anonymized data in our digital profiles could be used by public bodies – cities, municipalities, utilities – to improve their service offerings, making them more sustainable and personalized. Personalization, by the way, does not need to lead to the kinds of reputation concerns that arise in the context of using Uber or Airbnb where clients are ranked and evaluated: one can still have full personalization and anonymity. This doesn’t mean that technology companies would simply disappear. Instead, they can offer whatever advanced and personalized bonus services they want – after they license the use of this data. Google might offer features – some of them paid and desired, perhaps, just by 5% of the users – that would not be offered in the basic email service. It might also offer some advanced personalization of search thanks to its algorithms and advanced artificial intelligence technology. But note that other companies – including start-ups – would suddenly be able to compete with Google, as they will be able to draw on as much data about their customers as Google and Facebook alone can do now. To conclude, let me outline two scenarios: a pessimistic and an optimistic one. Bad things, as usual, are easier to predict. Well, if things continue as they are, we’ll end in a world where one or two giant technology companies become key gateways to all other services solely because they control our digital identities. Those services, too, would be provided by extremely ruthless technology companies keen to disrupt everything under the sun using the most brutal tactics: think Uber and Airbnb. Alternative modes of social and economic organization – which would try to use resources collectively but on a logic different from the neoliberal one – would be blocked at every possible moment. How do we avoid this scenario and move towards something more positive? Well, the first step is to problematize the question of data. Is data an asset? Who owns it and can it really be owned? If we are moving into a data-centric and data-intensive capitalism, what does it mean for the public not to be able to control the key resources of the age – that is, data? Can politics still maintain any effective control over the market if its key resource – data – lies beyond its reach? It’s only by answering such questions that Europe can mount a response to the alliance between Silicon Valley and neoliberalism. It won’t do to create a European Google: to think in those terms is to miss the shift to data-centric capitalism. We should not just think of new ways to regulate Google and Facebook and the rest as they exist today; we must also rethink the very basic form in which the services that they currently provide are to be provided in the future. It’s not at all clear that the model with which we have ended up would be favored by anybody concerned with public interest. But once again: breaking them up into individual units is not going to do the job, whatever its appeal might be to Google’s competitors and adversaries. The right way to think about cutting up such companies would be in terms of basic and advanced services: the former could be provided for free and be accessible to all while the companies can make money on advanced services but without hoarding the data generated in the context of their use. Thus, what’s needed is structural and institutional innovation that could reclaim data as a public good, place it outside of the market, and then promote entrepreneurial activities on top of it. This won’t be easy but the incentives, for politicians at least, could not be greater: another decade of inaction and Google and Facebook will end up running their own quasi-state, as they will control both our identity and our access to basic infrastructure (this, by the way, is already happening in parts of the developing world). A more depressing development for human freedom can hardly be imagined. This is the transcript of a speech delivered in Berlin in December 2014 at a ‘philosophy meets politics’ event of the Kulturforum der Sozialdemokratie. 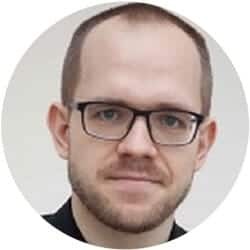 Evgeny Morozov is contributing editor at The New Republic and the author of 'The Net Delusion: The Dark Side of Internet Freedom' and 'To Save Everything, Click Here: The Folly of Technological Solutionism'. In 2010-2012 he was a visiting scholar at Stanford University and a Schwartz fellow at the New America Foundation.